Sleep deprivation leads to weight gain because people who are sleep deprived eat more. The study was a small one. 12 men completed a randomized 2-condition crossover study where the conditions involved sleeping for 8 hours or sleeping for 4 hours. Following their sleeps the men were allowed to eat freely and consumption was recorded. Subjects also wore actimeters to measure physical activity and the men were also polled as to feelings of hunger, pleasantness of food, cravings and sensation of sleepiness. Total physical activity was effectively the same whether sleep deprived or not and if anything showed a trend towards greater activity in the sleep deprived state. There was no difference in feelings of hunger, perceived pleasantness of food, or cravings. Not even remotely surprisingly, when sleep deprived subjects felt sleepier. So what difference was found? When sleep deprived people ate a whole lot more. On average they ate 20% more calories the day after a poor night sleep than the day after a good one. 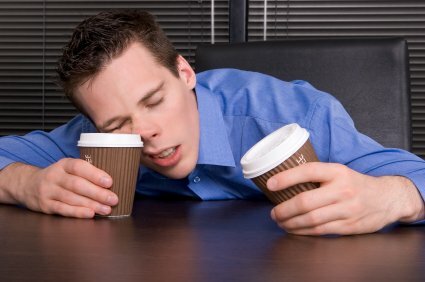 In terms of why this might occur other studies have found the hunger hormone ghrelin to be elevated following sleep deprivation which may explain things physiologically. To explain the physiology the authors speculated to Reuters that perhaps a heightened drive to eat following sleep deprivation would reflect an aim to store calories in the longer days of summer where nights are shorter and food more plentiful, prior to a long, hard, dark winter. Sleeping better may help you with your weight management efforts and certainly is something all physicians and allied health professionals should assess in a weight management screen.